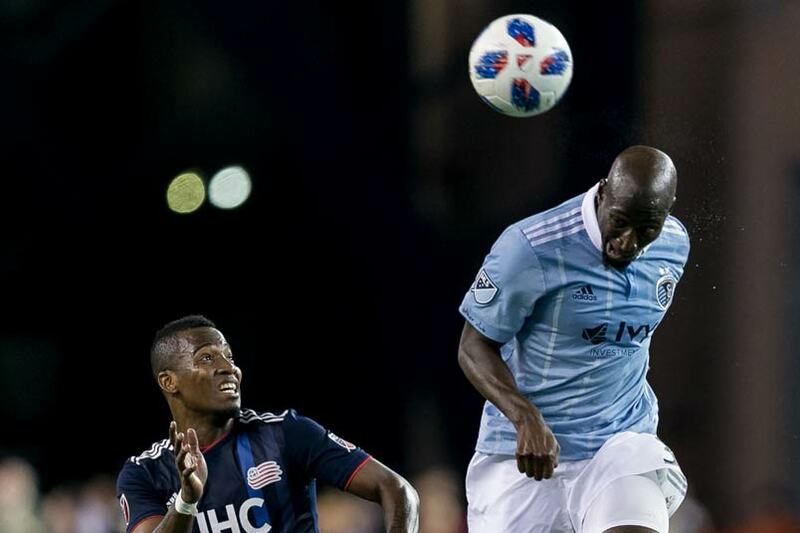 By Clemente Lisi – NEW YORK, NY (Aug 13, 2018) US Soccer Players – MLS is often overlooked, even mocked, for its defending. In a league where backlines are often maligned and strikers soak up all the attention, it isn’t easy not to notice that some of the league’s best players can be defenders. Among this elite group is Sporting Kansas City center back Ike Opara. The 29-year-old defender is one of the many reasons the team has done well this season. Opara was a star in college during his three seasons at Wake Forest. A member of the team that won the 2007 College Cup, Opara also appeared in 65 career NCAA games and was a 2010 Hermann Trophy semifinalist. Chosen third overall in the 2010 MLS SuperDraft by the San Jose Earthquakes, Opara played for the Northern California club for three seasons. Plagued by injuries early on in his pro career, Opara moved to Sporting KC in December 2012 in exchange for a 2nd-round draft pick. Under coach Peter Vermes, Opara blossomed in Kansas City as the club became one of the most-dominant MLS franchises. Opara won the MLS Cup with Sporting KC in 2013, playing in 18 regular-season games that season. Opara, no stranger to the USMNT youth setup, also started all three games for the United States at the 2009 FIFA U-20 World Cup. By 2016, Opara had become a starter at Sporting KC, teaming up with veteran defender Matt Besler to anchor the backline. In 2017, Opara won MLS Defender of the Year. That year, he appeared in 30 regular-season games, scoring three goals. As a result, Opara made Dave Sarachan’s 30-man roster for the USMNT's annual January camp. Amid a US youth movement, Opara, along with Toronto FC’s Justin Morrow and Philadelphia Union’s CJ Sapong, were the only players at that camp born in the 1980s. Opara earned his first US cap in a 0-0 game against Bosnia & Herzegovina. We threw some questions at Opara, where he spoke about the current season, what the team needs to do as it prepares for the MLS Cup Playoffs, and what striker he absolutely hates to go up against. It seems that Sporting KC has suffered the most when either you or Matt Besler have not played together due to injuries. How important is your center back pairing with Besler for this team to be successful? Obviously, we have a rapport over the past few seasons. I think we’re very comfortable when we’re playing together and I think that inspires our team to press the game and do what we need to do to get results. I think it’s a big piece of the puzzle in terms of what we want to do. Sporting Kansas City got off to a great start and has been one of the strongest teams in the Western Conference this season. What do you guys need to do as the regular season wind down to make a deep run into the playoffs? Really you just need to be clicking on all cylinders. If you’ve seen the playoffs over the last few seasons – whoever it is – it’s usually the team that’s the hottest, not necessarily the best teams (that win MLS Cup). You just have to make sure you’re clicking on all cylinders and making sure your t’s are crossed and i’s dotted. That’s the big thing going into the playoffs. Which striker to you hate to face most in MLS and why? How do you go against, let’s say, Josef Martinez? With that team (Atlanta United FC) and his movement and his ability to find spaces, you don’t see a lot of bangers from him. You see a lot of intermediate and close-range strikes. It’s all because of his movement and how they set him up. Even this year, when we played them and we were up a man, it was difficult. I think he's probably the best (striker) in that aspect. You hear a lot about Atlanta, Seattle, Portland, and some others, as crazy soccer markets for the game’s popularity and high attendance at games. What makes Kansas City, in your estimation, a great place to play? Obviously, our fan base is rabid and they come out and support us since this stadium (Children’s Mercy Park) opened (in 2011). I think with the bond that our front office has created a bridge to fans – interacting with players and vice-versa – it has been a family-friendly environment. I think that helps bring the support to each and every game. You were a star college player. Many of this league’s best played college ball. Why do you think the NCAA doesn’t get the respect it deserves when it comes to player development? I think there are a lot of reasons. I could go on for at least 10 minutes on the subject. I think the biggest couple are that it’s overlooked because it’s not professional. I think when you look at development leagues around the world, people look at that as the professional realm. In college, you have restrictions that are at the forefront and it’s a three-month season. It just doesn’t get the respect it deserves. Like I said, I could go on and on for different reasons. 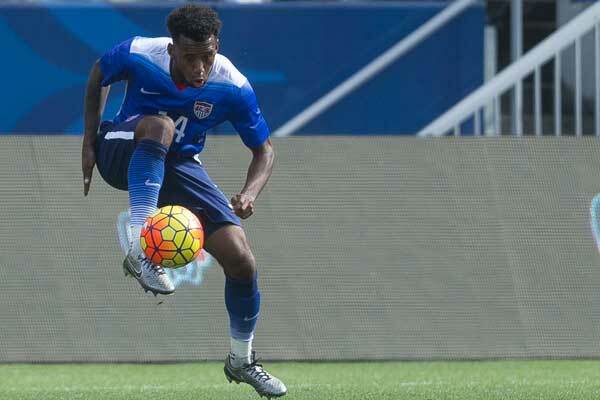 The US National Team has some high-profile friendlies, including against Mexico, coming up. How important is it for you to try and get call-ups to this team going forward? Honestly, I just worry what I do on a day-in, day-out basis. If I do well, the opportunity could come at some point. It would be an aspect of recognition – either in the form of call-ups or games. I just do what I do. At the end of the year or at the end of the month, when there are friendlies, if I’m rewarded, great! If not, I keep my head down and keep plugging away.